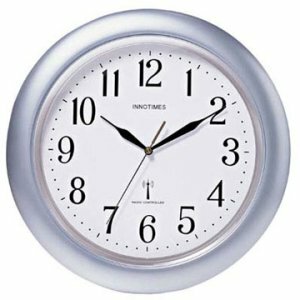 KnowCrazy.com: Why clocks are set to 10:10? First things first, let’s get the myths out of the way. There are plenty of people out there who think that clocks in advertisements and in-store displays are set this way memorialize Abraham Lincoln/John F. Kennedy/Martin Luther King Jr. because that was the time at which they were shot or died. In reality, Lincoln was shot at 10:15 p.m., and died the next morning at 7:22 a.m., JFK was shot at 12:30 p.m. CST and was pronounced dead 1 p.m. and MLK was shot 6:01 p.m. and pronounced dead at 7:05 p.m.
Another theory has it that 10:10 was the time that an atomic bomb was dropped on either Nagasaki or Hiroshima, and the setting is in memory of the casualties. The Fat Man bomb was actually dropped on the former at 11:02 a.m. local time and the Little Boy on the latter at 8:15 a.m. local time. • The hands not overlapping, so they’re fully and clearly visible and their styling can be admired. • The arrangement of the hands is symmetrical, which people generally find more pleasant than asymmetry, making the product more appealing to customers. • The manufacturer’s logo, usually in the center of the face under the 12, is not only visible, but nicely framed by the hands. • Additional elements on the face (like date windows and secondary dials), usually placed near the 3, 6, or 9, won’t be obscured.